There are many types of springs that can be used for a vehicles suspension. One of the older types of springs used were leaf springs. Leaf springs have also been called carriage springs or laminated springs in the past and currently may be referred to as cart springs or semi-elliptical springs. The leaf spring was used for most vehicles up until the 1970’s. Once manufacturers started switching the car designs over to front wheel drive, the cars then started using coil springs which are the most commonly found springs on cars today. Leaf springs are still found on a lot of heavy weight vehicles. Vehicles such as vans, trucks and SUV’s still use this type of suspension depending on the make and model of the vehicle. They are found a lot on commercial vehicles or those who haul weight often. The leaf springs are great for distributing heavy weight over the vehicle’s chassis. Most coil springs are good for lighter vehicles that do not need to bare heavy loads. However, because of the durability and efficiency of the leaf springs a lot of racers still choose to use this type of suspension on their race cars. The four most common types of leaf springs used on vehicles are called mono- leaf springs, multi- leaf springs, parabolic leaf springs and composites. All of them have their own advantages as well as disadvantages. Installing leaf springs can be a bit tricky and they must be installed correctly or they can be damaged. You should always have a professional install the leaf springs on your vehicle in order to prevent damage from being done to other parts of the car. In order for leaf springs to function well they require leaf spring pads. 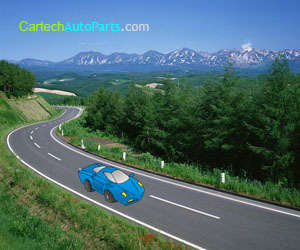 You will have to purchase leaf spring pads based on the type of leaf springs that are being used on your vehicle. If your vehicle has mono- leaf springs then you will have to find mono- leaf spring pads. The same is required for all the different types of leaf springs that can be used. There are also special leaf spring pads that fit particular makes and models of vehicles as well, so when looking to purchase your new spring pads you need to be aware that not every leaf spring pad will fit your style car or leaf springs. Leaf spring pads can come in varying materials and some will need to be installed differently than others. Leaf spring pads are usually inexpensive and can be replaced easily when they become worn out or stop performing properly. When you start shopping for leaf spring pads you will notice there are many different types to choose from. There are colored, small, large, square, round, anti- squeak pads and many others to choose from. As long as you know what type you need you can narrow your search more quickly in order to find the right type for your vehicle. If you are unsure what type of leaf springs you have on your car you should take it to a mechanic to be inspected. They will be able to inform you of what type of leaf springs your vehicle has as well as determine if your springs are in good condition or if the leaf spring pads need replaced. Once you know what type of leaf springs you have on your car you can purchase your new pads online or get them through an auto parts store. If you are considering replacing your current suspension kit with a leaf spring suspension kit then you should do research to figure out what type of leaf springs will work with your model of vehicle and also what type of leaf spring pads you will need.